You Can Name Hyundai’s New Car And Take It Home - Here’s How! You Can Name Hyundai’s New Car And Take It Home – Here’s How! Hyundai Motor India Limited will be unveiling its brand new small hatchback by Diwali and is on the hunt for a perfect nameplate. As has been the case in recent times, you could be part of the process and in fact take home the brand new hatchback. The South Korean auto major has put out a contest on social media inviting the general audience to christen its upcoming product. 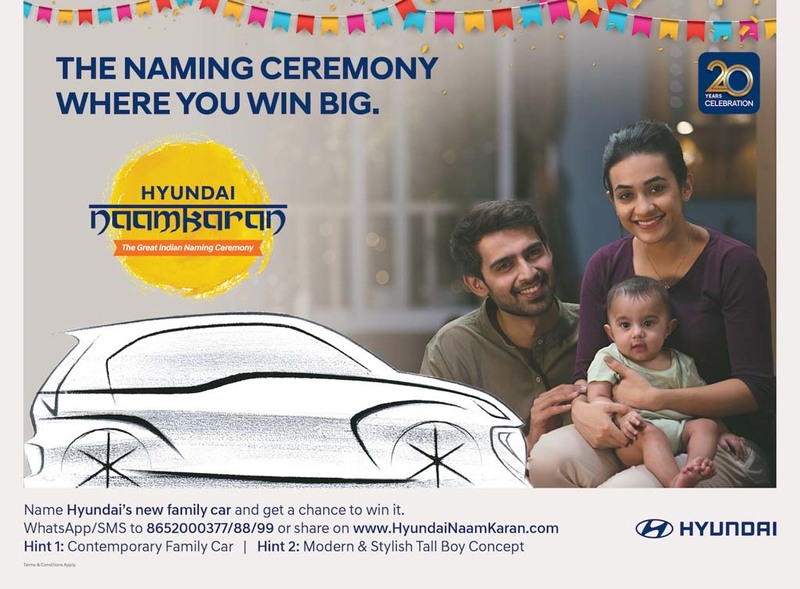 The idea behind ‘Hyundai Naamkaran’ is that people can convey the desired moniker through SMS or Whatsapp to the number given the image or head to the official website mentioned and post your view. Stipulation behind “The great Indian naming ceremony” is based on two hints, as the name should reflect the contemporary family car and it is a “modern and stylish tall boy concept”. Why waiting then? But before leaving there is something we need to tell you about the hatchback. It will more likely revive the Santro nomenclature with a suffix that appears to be you are part of. The AH2 hatchback has been around testing for several months and it will slot between Eon and Grand i10 in the domestic fleet. It will effectively replace the Eon and is based on the modified version of old i10’s HA platform. The new Santro will be the first Hyundai to use an AMT transmission dubbed Smart Auto and is expected to be powered by the updated version of 1.1-litre Epsilon four-cylinder engine found in the Santro Xing with increased power and torque outputs, and to meet BS6 standards. With five-speed manual transmission as standard, Hyundai will likely offer dual front airbags and ABS as standard across the range. 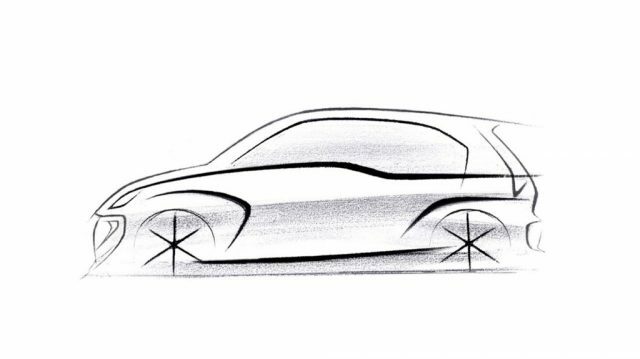 Expected to be showcased for the media in early October, the 2018 Hyundai Santro opts for the traditional design traits of the original model with a tall hatch appearance for ample occupant space and outer visibility. It will adorn the smallest Cascading grille from the global portfolio going by the looks of things and will offer touchscreen infotainment system, Bluetooth connectivity, reversing camera and sensor, electrically operable ORVMs, etc in the top-end variants to effectively rival Tata Tiago, Renault Kwid and a slew of best-selling Maruti Suzuki small cars.